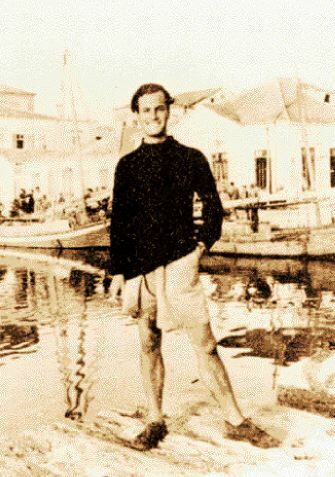 In the winter of 1933, an 18-year-old named Patrick Leigh Fermor set out from the Hook of Holland to cross Europe on foot. His goal was Istanbul, which he bookishly insisted on calling Constantinople. He had little more in his rucksack than a volume of Horace and a few blank notebooks. He also had a bad reputation: The masters who expelled him from school — for a flirtation with a local girl — saw only “a dangerous mixture of sophistication and recklessness.” He spent the next year charming his way through a doomed prewar landscape of landed aristocrats, feudal peasants and benevolent monks, sleeping alternately in schlosses and hayricks. It was a journey that would become legendary, not so much for the extraordinary things he saw and recorded as for his prose — an utterly unique, hybrid vehicle that combines youthful exuberance with a dense, dauntingly erudite display of verbal artifice. 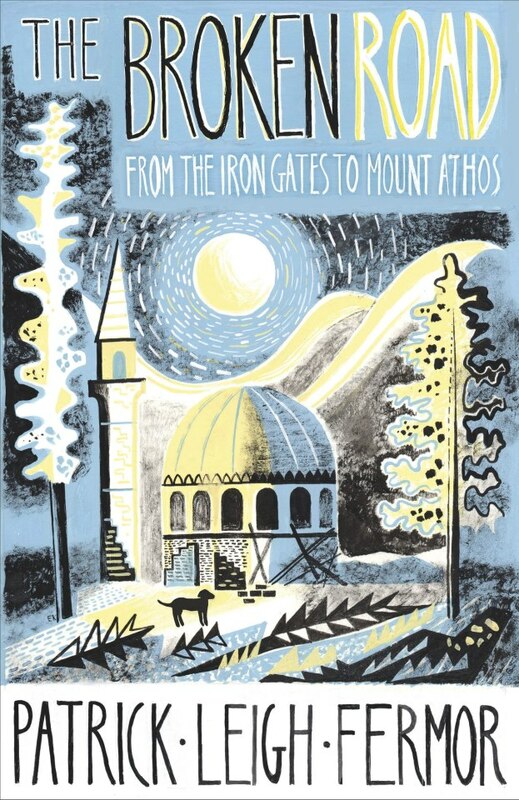 Unlike most authors of travel literature (a rattlebag genre that doesn’t really do him justice) Leigh Fermor does not confine his role to that of camera obscura. He builds dense whorls of wordplay to echo the carvings in an old church door; he slips into baroque historical fantasias, scattering a shrapnel of words like “gabions,” “hydromel,” “eyot” and “swingle­trees” at the unsuspecting reader. In between salvos, there are moments of ferocious humor and quiet, lyrical beauty. In part, this richness is a measure of the extraordinary gap between the experience and its narration. 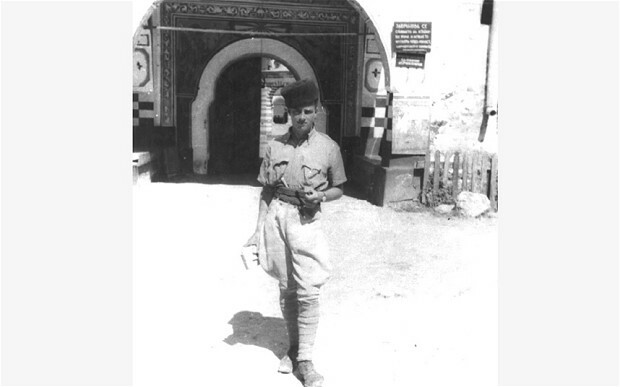 Leigh Fermor did not begin writing the first book about his journey, “A Time of Gifts,” until the 1970s. In the intervening decades, he had written several other books, becoming a fiercely learned autodidact and adventurer. His exploits during and after World War II — when he helped to kidnap the Nazi commandant in Crete and deliver him to a waiting British submarine — are said to have helped inspire his friend Ian Fleming, the author of the James Bond novels. As a result, the travel narratives are a kind of palimpsest in which his younger and older selves exist in counterpoint. He initially considered naming the first book “Parallax,” to reflect this split perspective. Few books have been as keenly or lengthily anticipated as the third and final volume of Leigh Fermor’s youthful travels. (A second installment, “Between the Woods and the Water,” was published in 1986.) It never appeared; burdened by writer’s block and frailty, Leigh Fermor was still working on it when he died in 2011 at age 96. But he did leave a manuscript. His biographer, Artemis Cooper, and the British travel writer Colin Thubron chose to tidy it up and publish it as “The Broken Road,” a reference to the abrupt narrative halt before the author reaches Istanbul. “The Broken Road” narrates Leigh Fermor’s travels in Bulgaria, Romania and Greece, a more tribal and violent world than Northern Europe. It does not always have the gemlike polish of the first two volumes. But it is an unforgettable book, full of strange encounters with a prewar Balkan cast of counts, prostitutes, peasants, priests and castrati. The greatest pleasure of all, as usual, is Leigh Fermor’s own infectious, Rabelaisian hunger for knowledge of almost every kind. His memory seems eidetic; his eyes miss nothing. He seems to carry within himself a whole troupe of sharp-eyed geographers, art historians, ethnologists and multilingual poets. For anyone who has tried to document a journey, reading him is a humbling and thoroughly inspiring experience. In some respects this book is even more satisfying than its predecessors because it is less guarded; the narrator emerges as an angrier, more troubled and more persuasive character. One of my few quarrels with “A Time of Gifts” is the dogged high-mindedness of Leigh Fermor’s youthful self. Where is the lust? Where is the rage? This man is 18 years old, for God’s sake. He never gives way to the curse-spitting xenophobia that overcomes most travelers (certainly me) at some point in their journeys. He runs into plenty of jams, and meets plenty of pretty young girls; but there is something a little too noble about him, too much of the innocent abroad. This time things are different, and the young man seems to break free of his older narrator. At one point, lying on the damp earthen floor of a Bulgarian peasant’s hut, he gives way to revulsion at the “noisily hibernating rustics swathed all over this stifling hellhole.” He is overcome by self-hatred and yearns for the comfort and status of his school-bound peers. Elsewhere, he meets a spirited Bulgarian girl named Nadejda and falls in love with her; their romance, though apparently unconsummated, reeks of the adolescent emotional frailty that seemed absent in the earlier books. One of the most vivid passages in “The Broken Road” takes place in Bucharest, where young Paddy (as all his friends called him) checks into what he takes for a modest hotel, the Savoy-Ritz, giving his bags to a baffled patronne. He returns late that night and discovers that it is not a hotel but a brothel. The laughing madam ushers him into the kitchen, where four attractive young prostitutes are eating a late supper: “I was given a chair and a glass of wine, and the girls on either side cut off bits of chicken breast and offered them on their forks with friendly solicitude.” The women, charmed by his youth and innocence, feed and fuss over him for several days, telling him stories about their clients and themselves, though he remains discreetly silent about whether he got anything for free. “The Broken Road” ends in midsentence, and the editors have chosen to follow it with excerpts from the diary Leigh Fermor wrote in early 1935, mostly at Mt. Athos in Greece. These are fascinating precisely because they are so ordinary: Suddenly we see how lucky we are that Leigh Fermor chose to wait four decades before starting. Young men have strong legs and eyes, but it is the older narrator, with his multilayered perspective, who knows how to turn memory into art. History also played a role. “The Broken Road” is strewn with ominous, proleptic hints about the future that only we — and the older narrator — are privy to. In “A Time of Gifts,” the Nazis were a constant presence, crass and often ludicrous, waiting to inherit Europe. In this book, it is both the Soviet boot and the Balkan breakup that lurk throughout, as young Paddy listens to his Bulgarian and Romanian friends spew hatred of one another. But he also evokes a quiet, starlit world where countless eccentricities of folk art and culture bloomed in isolated villages and persisted for centuries, untouched by the glare of television and the Internet. Much of this is gone now. We can be grateful he was there to record it. 362 pp. New York Review Books. $30. This entry was posted in Volume Three - The Broken Road and tagged Artemis Cooper, Colin Thubron, Patrick Leigh Fermor, The Broken Road on April 2, 2014 by proverbs6to10. Artemis will be discussing The Broken Road at the King’s Place Festival in London’s King’s Cross on 15 September 2013. The blurb fails to mention that Colin Thubron jointly edited Paddy’s manuscript with Artemis. Booking detals can be found here. This entry was posted in Volume Three - The Broken Road and tagged Artemis Cooper, Colin Thubron, Patrick Leigh Fermor, The Broken Road on August 24, 2013 by proverbs6to10. Not only did I have a lovely meal last night with friends, and awoke to a beautiful English summer’s morning, but my preview copy of The Broken Road was delivered this morning. It looks as beautiful as you would expect and I was pleased to see that Colin Thubron is given “lead billing” as editor; Colin has sometimes been overlooked but this is very much a joint project with Artemis Cooper. I am looking forward to reading it in my lunch break today!! This entry was posted in Volume Three - The Broken Road and tagged Artemis Cooper, Colin Thubron, John Murray, Patrick Leigh Fermor on August 21, 2013 by proverbs6to10. 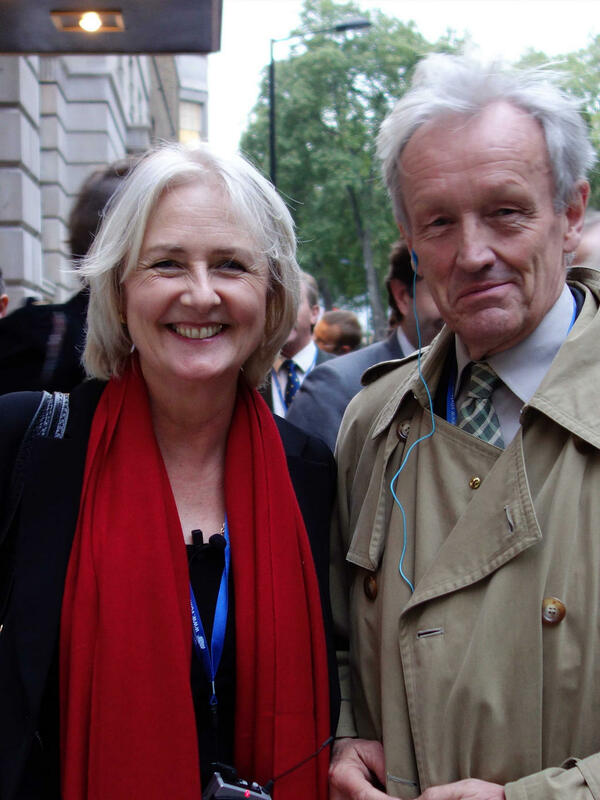 A message from Artemis Cooper who is preparing Vol Three – The Broken Road – with Colin Thubron. Here is the art work for ‘The Broken Road’, the final volume of Paddy’s great walk which comes out on 12 September… it is by Ed Kluz, a great choice of artist by John Murray. Ed is very much in the English pastoral and Romantic tradition, like John Craxton who did all the covers for Paddy’s books. I know Paddy would have LOVED it. This entry was posted in Volume Three - The Broken Road and tagged Artemis Cooper, Colin Thubron, The Broken Road, Vol Three on April 2, 2013 by proverbs6to10. And we’re off. This is the Patrick Leigh Fermor Tribute Walk, a bit of a Magical Mayfair Mystery Tour or even, as I prefer, a Paddy Pilgrimage: a literary procession in honour of the late warrior-writer through the London he knew during the course of an enviably long and dazzlingly adventurous life. First published in Standpoint Magazine, December 2012. We have gathered at Heywood Hill, the venerable Curzon Street bookshop where Paddy, as he was always known to friends and fans, had an account for decades. The pilgrims are a caravan of travel writers and publishers, friends, acolytes, devotees and disciples, for such is the admiration—shading into unadulterated hero worship in some quarters—for a man considered one of the great prose stylists of the 20th century. Our group includes the travel writers Colin Thubron, Sara Wheeler, Anthony Sattin, Jason Elliot and Robert Macfarlane, the writers and historians Jason Goodwin and Fergus Fleming, publishers Roland Philipps and Barnaby Rogerson (in a tangerine linen suit), Mark Amory of the Spectator, an exuberant throng expertly marshalled by Paddy’s biographer Artemis Cooper. It is not surprising that a man who wrote like an angel, fought like a knight and had beautiful women swooning at his feet for most of his adult life should attract such a following and such affection. Few men can claim to have walked across a continent, fallen in love with a princess, kidnapped a German general, joined a Greek cavalry charge and written a string of masterpieces. “Patrick Leigh Fermor, the man, could have sprung from the pages of Cervantes or Homer, and we revere him at Heywood Hill for his courage, style and beautiful manners,” says Nicky Dunne, chairman of the bookshop, who dreamt up this expedition. Paddy lived above the shop briefly in 1947 with Joan, his future wife. In 1965, horrified to have discovered how Communism had destroyed so many of his friends in the Europe he had walked across in 1933-34—”disaster overtook them all”—he set up an account at Heywood Hill for the great love of his youth, the Byzantine princess and artist Balasha Cantacuzene. “He couldn’t do much but he could make sure that at least she was never without good books,” says Cooper. Our unruly, traffic-blocking gaggle spills out onto Curzon Street to the astonishment of passers-by—30 men and women sporting bright blue earpieces is a curious sight—and ducks into Shepherd Market to our next stop, 28 Market Street: four square windows above the “PLUS NEWS” newsagent. Having been kicked out of almost every school he had attended, Paddy washed up here as a restless 18-year-old with literary longings and a diminutive allowance. His long-suffering landlady, assaulted by endless revelry, was Miss Beatrice Stewart, an artist’s model who had sat for Sargent and Augustus John and was later immortalised in bronze as the Angel of Peace in Adrian Jones’s Quadriga of War on the Wellington Arch at Hyde Park Corner. “I can never pass the top of Constitution Hill without thinking of her and gazing up at the winged and wreath-bearing goddess sailing across the sky,” Paddy wrote in a typical flight of fancy. Hightailing it out of this Rake’s Progress, Paddy walked from the Hook of Holland through Nazi Germany to Constantinople. It took him over a year from 1933-34, much of it spent “in a coma of happiness” recounted decades later in the spellbinding prose of A Time of Gifts (1977) and Between the Woods and the Water (1986). Our little saunter is less than a mile in more than an hour. Yet what we may lack in schloss-hopping mileage and accumulated time, we make up for in rowdiness and delight. This could be a lesser-known ecclesiastical ritual of the Eastern Church, the Adoration of the Paddy. And we all know it will end, as it should, with wine. Picking up the pace now like horses heading home—drinks at the Travellers Club await—we stride magnificently down Jermyn Street. One imagines Paddy, sartorially something of a peacock, thoroughly at home here. Into the final furlong and past the Cavendish Hotel, an unlovely blend of underground car-park and drive-through fast-food forecourt. “Here he met the tail end of the Bright Young Things, a decade after all those parties that had scandalised society.” Alistair Graham, Jennifer Fry, Eddie Gathorne-Hardy, Mark Ogilvie-Grant . . . and Elizabeth Pelly, to whom Paddy lost his virginity. Through St James’s Square and we’re almost trotting into Pall Mall, from where it is a hop, skip and jump up the 11 steps into the Travellers Club, whose bar Paddy did more than most to prop up—together with those of White’s, Pratt’s, the Beefsteak and the Special Forces Club—during 66 years as a member. In 1950, the Club Secretary reported to the House Committee that the nomadically careless Paddy owed “over £100 for storage, if by-law 6 were to be strictly enforced”. There is an inescapable whiff of glamour and adventure at the launch party. A light sprinkling of aristocracy, a smattering of bohemian scruff, the sparkle of beautiful women, sumptuously suited grandees, suggestions of espionage, the straight-backed swagger of military top brass. The evening dissolves into high spirits, laughter and torrents of wine. The hommage is complete. Marathon man – Justin Marozzi interviews Paddy and drinks quite a lot of retsina. This entry was posted in An Adventure: Paddy's Biography by Artemis Cooper, In Paddy's Footsteps and tagged Anthony Sattin, Artemis Cooper, Barnaby Rogerson, Colin Thubron, Fergus Fleming, Jason Elliot, Jason Goodwin, Robert Macfarlane, Roland Philipps, Sara Wheeler on December 7, 2012 by proverbs6to10.